This intensive program provides beginners a solid introduction to Azerbaijani. Students who complete the course successfully will complete the equivalent of the 1st-Year curriculum in the Department of Central Eurasian Languages at Indiana University and will reach a proficiency of Intermediate Low or better. They will be able to communicate in day-to-day situations in Azerbaijani, will be able to read and write effectively on familiar topics, and will have a solid foundation for further study or travel. The program introduces Azerbaijani culture through work with authentic materials and media, as well as Azerbaijani activities and structured interactions with Azerbaijani speakers. 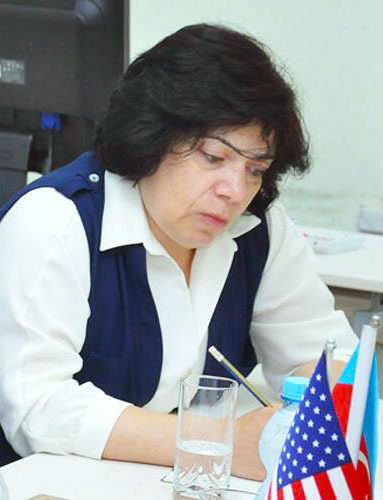 Fiala Abdullayeva is an Associate Professor at School of Translation and Cultural Studies at Azerbaijan University of Languages. In 2009-2018 (excepting 2016) Fiala taught Elementary, Intermediate and Advanced Azerbaijani to Critical Language Scholarship students at the AUL summer school. She is the author of several textbooks and methodology guides, including the textbook The Basics of Professional Translation and the student’s book Azerbaijani Oral Practice, and a co-author of the textbook Intermediate Azerbaijani.